Owegoo is a new travel service from a Swedish startup of the same name. However, unlike most travel booking sites, Owegoo puts what you want to do ahead of where you want to go. So, say for example you have a week (or just a few days) off work and want to book a vacation, but you don’t really care where you go, it just has to be somewhere you can go diving, and perhaps take in a little surfing if you’re feeling ambitious. With Owegoo, all you need to do is enter those terms into the site and it’ll bring up a list of destinations that match those criteria and some information about each. For the record, the Solomon Islands is the one of the top suggestions for this search. 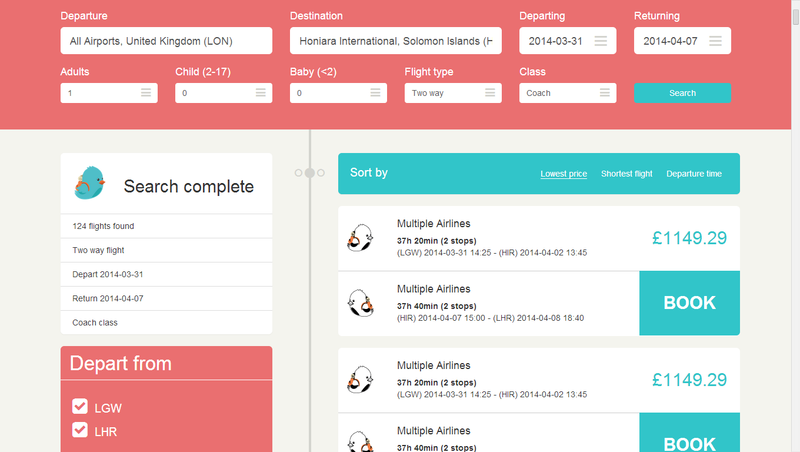 Once you’ve decided which option looks best, you can search for flights. It turns out that the Solomon Islands is quite a long way from the UK – a 37 hour journey with two changes, costing £1,150. Clicking the ‘buy’ button redirects you to eBookers to complete your purchase. Keeping things simple, there are just a few options across the top of the page for selecting your departure airport, return or one way and what class you want to travel in, and there are some check boxes down the left hand side of the page, for things like the number of stops you’re willing to make. It all started when I, a few years ago, wanted to leave Sweden for a couple of months to work and live abroad. I wanted to find a warm and sunny place where I could work, where the internet connection was good and where I could communicate with the people in one of the languages that I know. It took me weeks to find out that Malaysia was the perfect place for my needs. Franzén says that the general approach is to be a mix of Expedia and Pinterest, and that she is keen that the Owegoo community should be involved in the development of the product as much as possible. 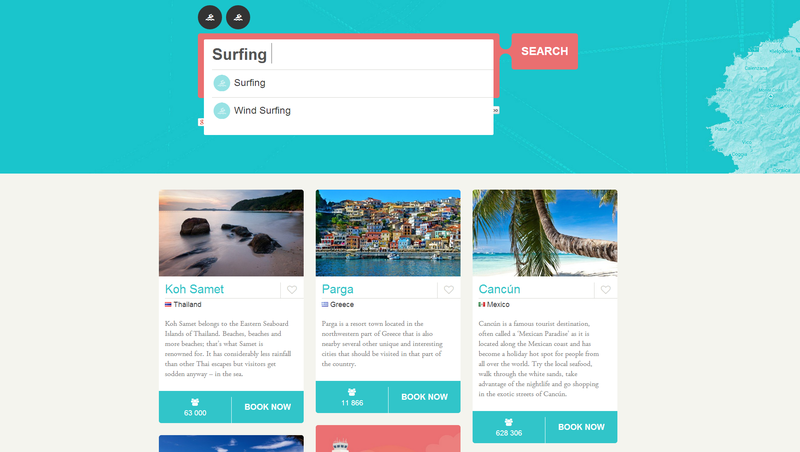 Nevertheless, combining a holiday booking service with a discovery aspect isn’t entirely unique – there are already competitors like Zaptravel and WanderWe, although Owegoo’s interface looks considerably more straightforward from our initial peek. However, the company will have to work quickly to get the activity database up to speed – for it to be genuinely useful, there needs to be a wide-range of activities to choose from otherwise there’ll be little reason to use it above its rivals.